Excalibur bows are known for their high speeds, power, and efficiency. So if you are looking for a crossbow, you should definitely go for an Excalibur. The Excalibur Axiom SMF produces arrow speeds over 305 FPS. It has excellent accuracy and bulletproof reliability. It also generates a lot of horsepower. This Excalibur crossbow has what it takes to handle any game in North America. 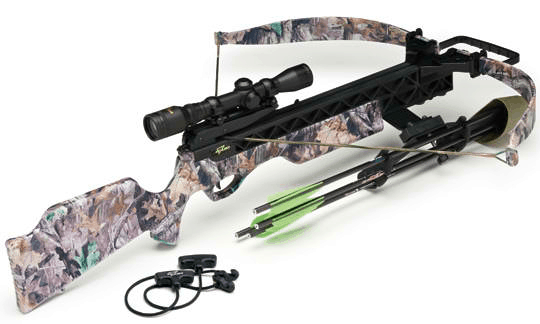 It is considered to be the best hunting crossbow for less than $600. Its accuracy is exceptional,and it is not high maintenance. You can use it in varying conditions. It comes with a multi-reticle scope. It is well balanced and comfortable to hold and carry. It is lightweight, weighing just 5.8 pounds without the scope. It is ideal for both beginners and advanced shooters. Beginners can hit the bulls-eye from as far as forty yards while advanced shooters can easily hit targets from at least sixty yards. You can even use it to practice shooting. With regard to its shoulder plate, you can find it comfortable against your body. It has a highly responsible trigger assembly, not requiring much lubrication for performance maintenance. As long as you are in the right shooting form, the movement and accuracy of your crossbow will not be affected. The crossbow’s design makes it very stable. You will not feel any vibration when you pull the trigger. Even though beginners can comfortably use this crossbow, it may still not be safe enough. It does not have many safety features, so you have to make sure that your fingers do not go above the flight rail. There aren’t any finger guides available. You should also turn the safety on every time you seat an arrow in the rail. It has no anti-dry fire mechanism. If you are used to using a groove in the foregrip, you may be disappointed at this crossbow’s lack of it. The Excalibur Axiom SMF is a crossbow for sale to beginners and advanced shooters. It is affordable, durable, high quality, and comfortable to use. 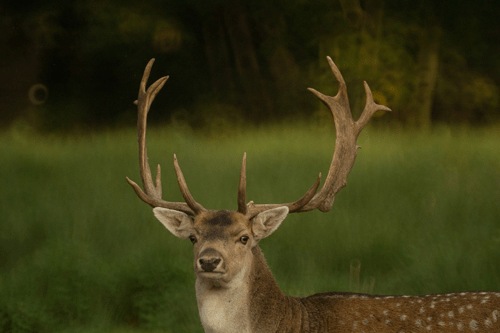 It is ideal for hunting since it is lightweight, short in length, and easy to maneuver in a hunting stand. It has a high accuracy, making it easy for you to risk shots from a long distance. It also delivers a kinetic energy that lets you easily take down an elk, ox, buffalo, or cape.